Ed McDonald's Blackwing was one of the most impressive debut novels I've read in recent years. 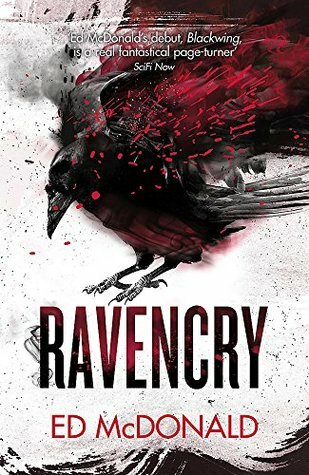 I was completely mesmerised by the world and characters and jumped straight into the next installment, Ravencry. 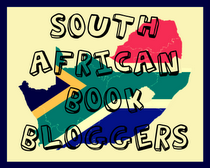 I started reading with a sense of trepidation, the bar was set extremely high, and I was afraid that the second novel might be a let-down, but I shouldn't have been worried at all. Ravencry is just as good, if not better. Set four years after the events of the first novel Galharrow discovers a nightmare hiding below his city. Another player is grasping for ultimate power in the most grotesque way possible and with the Nameless otherwise engaged it's up to him to put a stop to it. On top of everything he also has to deal with a cult, ghost sightings and fiery death hurtling from the sky. Ravencry takes a far more personal look into Galharrow's life and struggles as he deals with guilt and loss while trying to do the right thing. He bears his physical and emotional scars with a stoic machismo, but underneath his gruff exterior hides a surprisingly compassionate soul. Galharrow keeps everyone around him at arm's length in order to protect himself from pain. A mask that can last only for so long. All the familiar characters make an appearance, although their roles are largely on the periphery. Two new characters, Valiya and Amaira, are introduced. Valiya runs the Blackwing offices and she is a true force of nature, fighting her battles with words and papers. Amaira is a young orphan working as Galharrow's servant. You can't help but fall in love with the little rapscallion, and it's the relationship between Galharrow and Amaira that really becomes the driving force in the story. There are some truly emotional moments that will break your heart. I teared up quite a few times and for me that takes quite some doing. The pacing is slow at times, but once things get going Ravencry becomes an unstoppable, bloody delight. The stakes keep escalating with twists and turns at every corner and the gut-wrenching ending will destroy you. I've still not completely recovered emotionally, but I desperately want to see what wonders Crowfall, the third book, brings! It's hard to do Ravencry justice in a review. It's both a touching emotional journey and a bloody, unstoppable delight. The ending will destroy you and leave you wanting more. McDonald has exceeded all my expectations and I can't wait to discover the wonders the third book brings. Highly recommended! There's a new Buffy The Vampire Slayer in town!